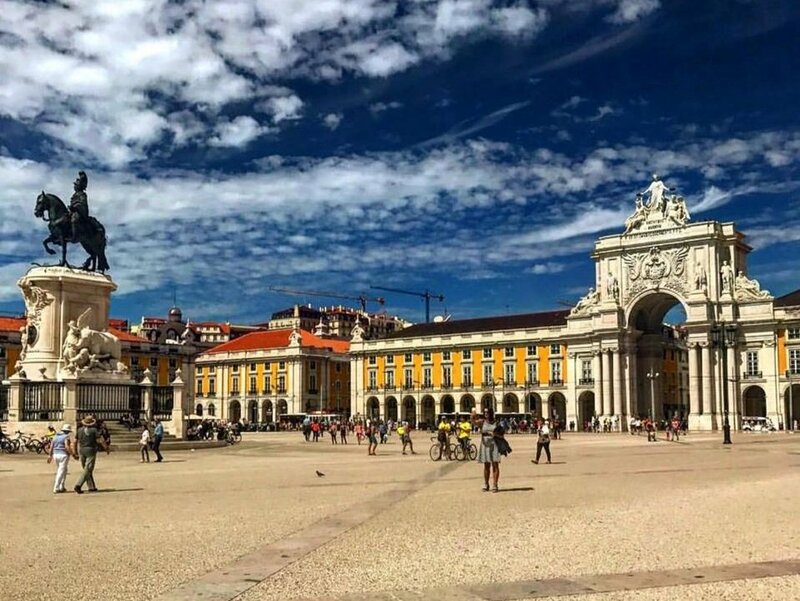 From the colorful streets of Lisbon, to the lush Douro Valley, to the traditions of Porto you'll get a taste of what this incredible country has to offer! We'll get off the beaten path in Lady Lisboa with our community partner excursion to learn about social inclusion through art, take a day trip to the fairybook village of Sintra, and taste Portugal's unique & refreshing green wine alongside traditional port & other local specialties. Welcome to Lady Lisboa! Upon arrival at the Lisbon airport (LIS), you will be greeted and transferred to your home for the next several nights. Get yourself settled in and rested—the cobblestone streets, sounds of music, and tastes of the city await. Our street runs parallel to the Avenida de Liberdade, the main wide boulevarde of the city. The afternoon is yours to explore before our Welcome Dinner tonight to get to know one another and taste a variety of Portuguese specialties. Today we’ll explore the 7 hills of Lisbon, including the the Moorish Alfama neighborhood, the Castelo de São Jorge, incredible views of the Tagus river, 19th century historical squares, and stones that resemble the waves of the nearby ocean. We’ll take a break for pasteis de nata, the famous Portguese egg tart pastries, and head to our favorite secret spot above the city for urban art and stunning views. You’ll have the whole afternoon on your own to explore and get to know the city, and we’ll reconvene in the evening to head out on foot to enjoy some local wine and fado (meaning “fate” or “destiny”), a traditional Portuguese music style noted for its melanchonic tones and lyrics of the sea. Situated in the lush hills outside of Lisbon, the storybook castles of Sintra served Portugal’s most elite and royal families. Incorporating several architectural styles and surrounded by gorgeous gardens, this UNESCO World Heritage site makes you feel like you’ve stepped straight into a fairy tale. You’ll have a bit of time to explore the village, then we’ll visit Quinta da Regaleira, the intriguing estate of a Brazilian sugar baron. After lunch at a traditional local spot, we’ll stop at Cabo de Roca, the western-most point of continental Europe. The evening back in Lisbon is yours to enjoy. Portugal’s magic is best felt through the eyes of those who live it. We will spend the morning walking through a very unique neighborhood of Lisbon where urban art is a medium for social inclusion. We’ll learn from our local guide how urban art has united the community, dating back to the time of the dictatorship that ended in 1975, and continues to play an important role in Lisbon. In the afternoon, we’ll head north toward wine country by first-class bus: Porto here we come! Dinner is on your own with many Portuguese & international options just down the road from our guesthouse. Porto is said to feel like a pop-up book for the way its incredible architecture, treasure trove of street art, and color-filled markets pop up along the winding banks of the Douro River. The city is filled with retro cafes, cool bistros and, of course, port – which is stored in barrels along the river. We’ll enjoy a nice morning walk through the city and across the river for a special tasting of what this city is best known for – port! The rest of the day is yours to explore Porto’s myriad museums, boutique shops, gardens and culinary options. 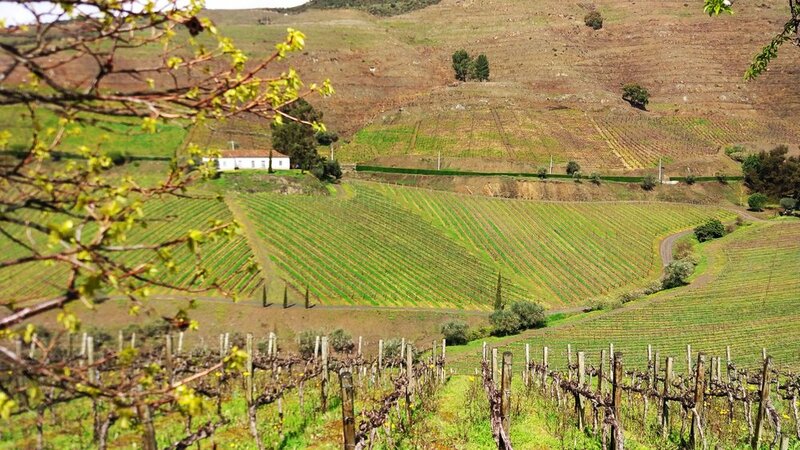 Today we get to explore the magical vine-draped land of the Douro Valley, birthplace of port wine and the second UNESCO World Heritage Site of our trip. We’ll start start with a red & white wine tasting and take in the breathtaking landscapes. After a local, traditional lunch we’ll head to another part of the region known as the “Green Valley” where vinho verde is produced. We’ll stop at a second winery for a green wine tasting and learn about the passion behind their craft and the way they take care of the planet in the process. We’ll finish off with an olive oil tasting, with notes ranging from nutty to spicy. We’ll return to Porto in the early evening with time for dinner & explorations at your leisure. Today we’ll enjoy a last leisurely morning in Porto before heading back to Lisbon, returning in time for a late lunch on your own. Consider visiting the Time Out Market or LX Factory, two of Lisbon’s hippest spots for eats and botique shopping. We’ll reconvene in the evening for our farewell dinner and goodbye to new friends. This morning your transfer will take you to the Lisbon airport according to your flight schedule. Checkout is at 11:00; if your flight is later in the day you can leave your bags at the guesthouse until your pickup time. Ashley Blake is an avid traveler, cultural consultant and language enthusiast with a background in tourism, entrepreneurship and project management. She is a fluent Spanish speaker with conversational Portuguese skills and is just starting to study Arabic. Ashley has worked and traveled in 40+ countries across Latin America, Asia, Europe, the Middle East and Africa including tours she has led in Spain, Germany, China, Canada, Ecuador & Nicaragua. Cancellations, less the trip deposit ($250), are refundable up to 90 days before trip start. Please refer to the full Payment Plan for details.